Here at Barstow’s Longview Farm everybody has a personality so everybody has a name. Calves born around the same time have names that begin with the same letter. These calves were born in the first half of March. 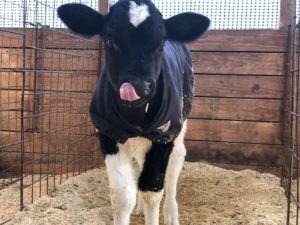 Congratulations to our Name the Calf Contest winners! You can name our calves too! Visit us to put in your entry!